Whether traveling for a luxury vacation or business, our Bosnia & Herzegovina jet charter brokers can arrange a private flight to/from anywhere in Bosnia & Herzegovina. Travel to Europe using our Bosnia & Herzegovina private jet charter service and arrive in style. 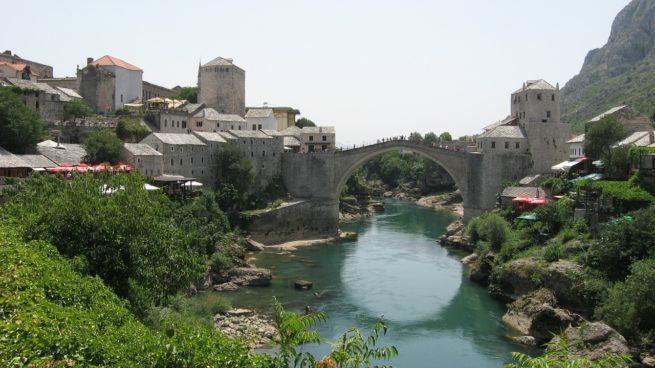 Bosnia & Herzegovina, also known as just Bosnia, is a country in Southeastern Europe located on the Balkan Peninsula. Visit beautiful landscapes, beaches, museums, and historic sites during your stay. Many of our Jet Charter Europe clientele choose Sarajevo, the capital city, as their travel destination within Bosnia & Herzegovina. The peak of tourism in Sarajevo and around the country is during the warmer months of June to August. Travelers visiting Bosnia & Herzegovina in late spring (May), will experience more comfortable relaxing weather. Similar to other southeast European countries, Bosnia & Herzegovina also provides ideal winter sport activity settings for all ski and snowboarding enthusiasts. Travel via private jet charter to your desired destination within Bosnia & Herzegovina for your next trip! Request a Quote or give us a call at 1-888-987-5387 to speak with one of our Bosnia & Herzegovina private jet charter service brokers for your next luxury vacation, business trip, or special event.